I have spent the past week revising pages in For Want of a Father that show main character Cordelia arriving in 1859 Denver. In the original Nano manuscript, I had her check into a hotel. Then I got worried. Were there hotels in Denver on or about June 1, 1859? I made several online searches and poured over my personal research library of western history as well as the public library’s stacks. One reference indicated there were about twenty houses in Denver at the time. Another mentioned the first newspaper being published in April, 1859, but I could find nothing on hotels. After complaining to writer friends about this lack of information, someone said, “It’s fiction. If you want a hotel, make one up.” So I did. There was little description of the hotel in the first draft. Cordelia got a room and had a pitcher of water delivered so she could wash off the grime from her twelve-day stagecoach journey. The writer in me said, “You need more details,” so I added them. When I opened the door to the cramped cubicle, my nose was assaulted by the stench of tobacco, whiskey, and sweat. Smoke stung my eyes. Seeing what appeared to be a window on the outside wall, I crossed to it, pushed the wooden slat open, propping it with a board and pressing my face close to the opening, filling my lung with fresh air. Hoping the room would air out, I stepped away from the window and took in the furnishings. A bed of sorts made of board slats on top of nail kegs stood along one wall. On inspection of the mattress, I concluded it was straw stuffed into a stained cotton ticking. The two woolen blankets smelled of tobacco and sweat but seemed otherwise clean. For a short time, I was proud of my description. It sounded like the kind of accommodations Cordelia might find in a new, rough mining town. Then I got worried. Would Cordelia sleep here? Several already written scenes depended on her doing that. Obviously, I needed to give her a good enough reason to stay in spite of the unsavory surroundings, so I attempted to do that. My impulse was to leave, but where would I go? This was a new mining town. Other accommodations might be worse. I did not know Miz Wilma’s situation, and I did not want to inconvenience those who were caring for her. Best to stay here. It was only for one night. Answer: I revise as long as each reading of a scene gives me a deeper understanding of character and better ways of presenting the story. The end of the process does not come with a number but with a feeling that I have told the story to the best of my ability. As if the fiction MOOC (Massive Open Online Course) I’m taking isn’t enough, I’ve signed up for the WordPress Blogging 201 course and NaNoWriMo (National Novel Writing Month). There’s so much to learn and so little time. However there is overlap. 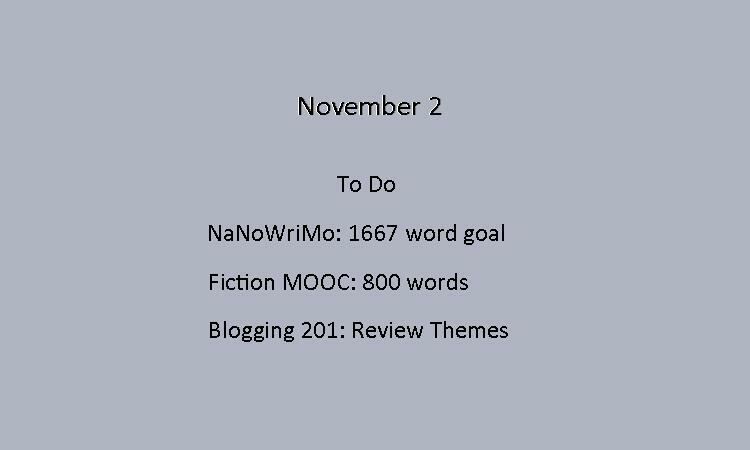 I told myself that when I got up this morning, stumbled to the computer, and delved into creating the Nano word count for the day. I’m in the fifth week of the MOOC through the University of Iowa and have been immersed in developing characters, point of view, and plot. I’m working on voice and setting this week. Through all the lessons, I have used my saga characters in my assignments. 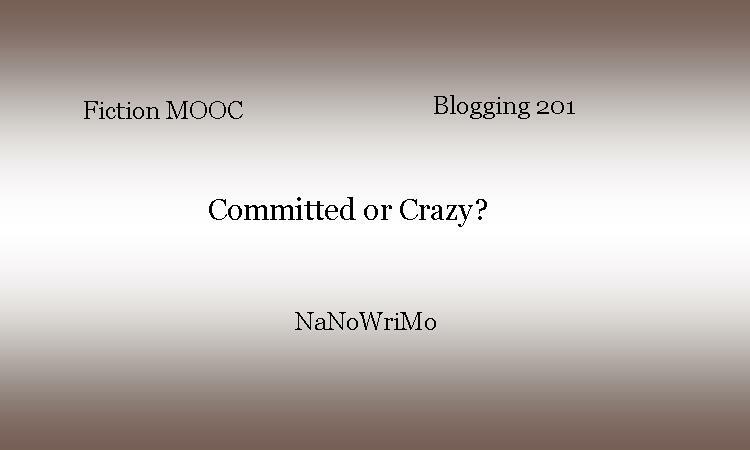 There is overlap one; the MOOC has been helpful in preparing for NaNoWriMo. Where is the Blogging 201 overlap? This blog is supposed to be all about keeping my fans updated on my saga in progress. It is pretty obvious when looking at this post that my blog needs help. I have not yet figured out how to use widgets and set up sidebars the way I want. In fact, I really need to add a fourth tool to November’s learning marathon: making graphics. I’ve noticed that when my blog post shows up on Facebook, there is a big blank space where a graphic should go. It’s an ugly blank space. I tried to make something in Photoshop Elements, but I still haven’t learned that program, so I tried Microsoft Publisher. As you can see, I managed a graphic, but if I had a day job, I wouldn’t dare quit it. So here I am with 1700 words, a bad graphic, and this post. Come back tomorrow and find out if I am still committed—or being committed. 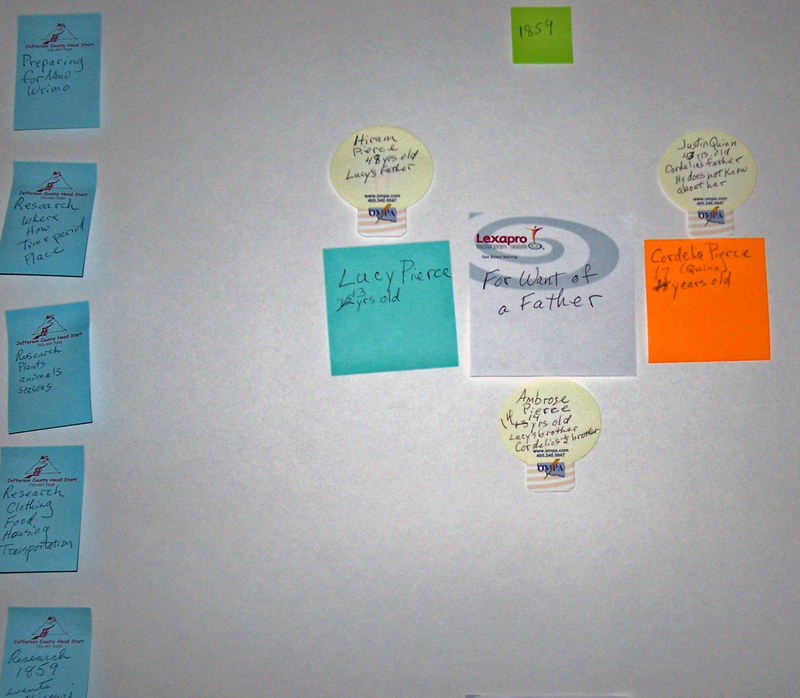 Mapping my way to a rough draft. Estimated arrival date for the proof copy of Book 1 of the Pierce Family Saga is September 2. 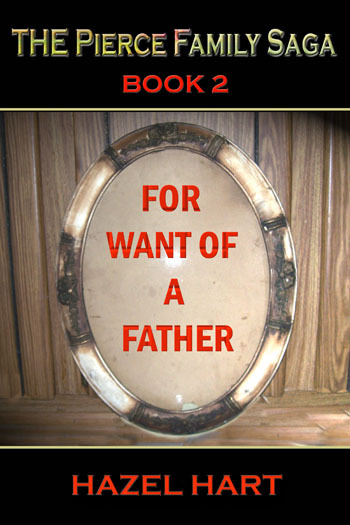 In the meantime, I am getting a jumpstart on plotting Book 2, which has a working title of For Want of a Father. I plan to use NaNoWriMo (National Novel Writing Month) to write the rough draft. I participated in NanoWriMo when writing the rough drafts of Possessing Sara and The Survivalist’s Daughter. While I didn’t reach the goal of 50,000 words in a month, I did go on to finish the books. I tend to procrastinate when it comes to any project not in front of my nose, so I taped a poster board to my office door and started putting up stick-on notes for areas in need of development. For years, I have avoided using the mapping/clustering method of prewriting because deciding where to put a circle on a board and what text to put in the circle makes me freeze. 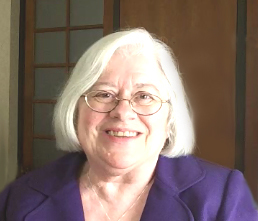 My current method allows me to change my mind about topics and their placements. I have chosen poster board from a dollar store and pads of various stick-on notes I have accumulated from conferences and fairs as the medium for my project map. If I don’t like the position of a topic, I can move it. If I change my mind about the topic, I can throw the note away and my basic poster in still usable. The year is 1859, four years after the end of Book 1. I originally thought the year would be 1858, but I decided Lucy should be a year older, so the first change I made was the year. The two main characters are Lucy, 13, and half-sister Cordelia, 17. Above each girl is a stick-on note about her father. Lucy’s father, Hiram Pierce, 48, is a blacksmith and city council member in the small town of Hidden Springs, Kansas Territory. Readers of the first book probably have strong opinions about Hiram. Cordelia’s father, Justin Quinn, 43, is something of a mystery. She has never met him, but knows he was a fur trapper when she was conceived. The first order of business is research. The blue notes down the side contain the various items I need to know more about. They range from the major events of 1859, including the Colorado gold rush, to everyday items like food, clothing, transportation, and occupations. I have chosen Justin Quinn as the first character to develop. I know least about him, and Cordelia’s story will hinge on the kind of man her father has become. He is probably not trapping since that trade diminished in the early 1840s at about the same time he met Cordelia’s mother. To get a better sense of mountain men and the life Justin might have led, I am reading Give Your Heart to the Hawks by Winfred Blevins. I’ll let you know what I learn from the book and reveal Justin’s backstory in future posts. The proof copies of Book 1 have arrived. Time to get to work.